Speaking to Recode's Kara Swisher at the Lesbians Who Tech conference in San Francisco, Powell Jobs said journalism is as important to maintaining a healthy democracy as education, immigration and the environment, reports CNET. Powell Jobs' the Emerson Collective dabbles in each of those areas through a series of strategic investments. The Emerson Collective holds majority stake in The Atlantic, Pop-Up Magazine and Axios, and Powell Jobs is primed to invest more. At least part of her interest in the industry stems from the increasingly tenuous situation in which the news industry currently finds itself. "The lack of ability for people to actually find relevant local news is putting our democracy at risk, putting our ability to converse with each other at risk putting our ability to understand each other at risk," Powell Jobs said. A sales slowdown is not the only danger for journalism, as the industry faces ideological, and in recent years physical, attacks on news outlets. While the U.S. has traditionally been a bastion for news media, both liberal and conservative, that standing is now threatened by an unrelenting stream of criticism from President Donald Trump. "It's right out of a dictator's playbook," Powell Jobs said of Trump's constant bashing of — typically left-leaning — media outlets. "If you look at polls about the degree to which people trust any news source and even credible fact checking organizations is at an all time low." Though she did not initially intend to invest in the area, the Emerson Collective's portfolio of publications producing "super high quality and important journalism" leaves the door open to additional buys. 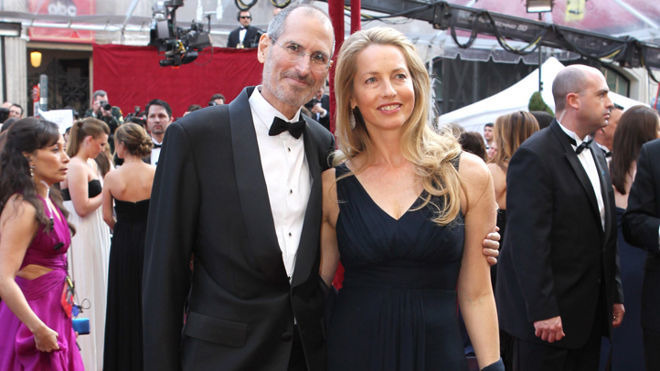 Powell Jobs, one of the world's richest women with an estimated net worth of $19 billion, is much more active in politics and philanthropic ventures than her late husband. For example, Powell Jobs met with Trump in an effort to save President Barack Obama's Deferred Action for Childhood Arrivals (DACA) program. While her pleas fell on deaf ears (Trump moved to end DACA in 2017), the president did comment on her appearance, saying, "I really like your dress." The crowd booed in response to Trump's aside, to which Powell Jobs said, "I know. And I thought, 'The things I will do,' y'know?" Apple and its CEO Tim Cook are also proponents of DACA, with the tech giant going so far as to urge other companies to join a legal challenge to Trump's plans.